According to MMA Weekly, Denis Kang will be looking to get his first victory in the ÙFC at the expense of one Xavier Foupa-Pokam at UFC 97 on April 18th in Montreal. Georges "Rush" St-Pierre, for his UFC welterweight title. Penn and Georges have been featured on the UFC's new 3 part series "UFC Primetime" which has followed them through their daily lives and training leading up to the mega fight. This bout will be a rematch from their first meeting at UFC 58 back in 2006, where St-Pierre defeated Penn in 3 rounds by split decision. B.J. Penn has been tearing through the lightweight division since dropping down from 170, finishing all three of his opponents and claiming the lightweight title for himself. Penn has had an itch that needed to be scratched and a win over St-Pierre would fix his itch and them some. B.J. has claimed he has better striking, and ground abilities than St-Pierre and Penn may be right about the better ground game but to say he is the better striker out of the two is ludicrous to say the least. Penn won't want to stand with Georges for long if Penn wants to test the French Canadian's stand up. GSP will also be coming into this fight on a hot streak, winning his last four bouts with no end to Georges' dominance in sight at 170, except a Hawaiian named Penn. Both St-Pierre and Penn know what is at stake in this fight, not only UFC welterweight championship gold but most likely the number one ranked P4P fighter in the world placing to the winner. Georges will most likely be pushing the pace in this fight like he did against Matt Serra and Jon Fitch and effectively wore them down during the course of their fights, it will be interesting to see if Penn can keep up with St-Pierre. MMA HANGOVER's prediction for the champion vs. champion main event: B.J. Penn should of stayed at lightweight. St-Pierre by third round TKO. Playing in their second game in as many nights, the Juniors faced off against divisional opponents the Rouyn Noranda Huskies on Wednesday night. After being shut-out the night before by Val-d'Or, the Juniors offense came back to life in their 6-1 win over the Huskies. The Juniors scored two goals in the span of two minutes in the first period, with both Guillaume Asselin and Toni Ritter beating Huskies goalie Mickael Audette. The Huskies would quickly get themselves on the board while Junior Luke Adam was in the box, as Jeff Desjardins saw his 16th goal of the season beat Juniors net-minder Jake Allen. Juniors captain Matt Fillier would soon restore the two goal lead, as he found the back of the net for his 12th goal of the season, at the 9:59 mark of the second. The Juniors offense kept clicking with Jérémy Gouchie scoring his 11th goal. Angelo Esposito, already with two assists on the night, scored his 19th goal of the season, 1:45 into the third, to bring the Juniors to a 5-1 lead. The offense wouldn't end there, as Luke Adam tallied the Juniors sixth and final goal of the night with his team leading 22nd goal. Montreal now has a record of 25-20-1-2. The Juniors will play their final road game of their extended trip on Saturday night as they face the Quebec Remparts. They will then take to the Verdun Auditorium ice when they return home to face the Halifax Mooseheads on Monday February 2nd at 7:00pm. For more information, visit www.montrealjuniors.com. The Montreal Juniors continued their long roadtrip Tuesday night as they visited the Val-D'Or Foreurs. After a scoreless first period, Val-d'Or went on to score three unanswered goals for a final score of 3-0. Val-D'Or opened the scoring in the middle of the second period with Jonathan Hazen beating Jake Allen at the 13:24 mark. Unable to tie the game in the second, Val-d'Or went on the score two more unanswered goals, while goalie Raffaele D'Orso blanked the Juniors. Both Keven Guérette-Charland and Jonathan Hazen scored in the third period to give their team the win tonight. The Juniors will head out to play the Rouyn-Noranda Huskies Wednesday night with a record of 24-20-1-2. They will then face the Quebec Remparts on Saturday before returning home to face Halifax on February 2nd at 7:00pm. Simba Roars! Vigneault is Calling Out Hatsu Hioki! As heard this week on The Franchise, Stephane "Simba" Vigneault is calling out TKO's lightweight champion to put on the match that would have happened at the last ever TKO card had it not been for an injury suffered by Vigneault while training for the match. The injury was brutal, but one that he thinks has healed enough to get cleared medically, and Stephane is looking to any promotion that can make this fight happen anywhere! Here is a video to remind everyone the kind of intensity Stephane Vigneault brings to his matches! MMA Rankings Have Been Updated! The Rankings are updated courtesy of Jordan Small from MMA Hangover. I had a slight disagreement with the placing in the Lightweight division, and some big disagreements with the Light Heavyweight division, and you can see my comments in the "editor's note". 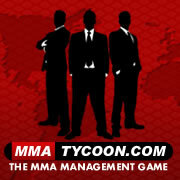 There is a lot more MMA coming over the next few weeks, so you can be sure more changes will be made. Also note that after Strikebox and XMMA Inferno, our Quebec fighter rankings will be updated as well. StrikeBox Tickets Are On Sale! Make sure to tune into The Franchise this sunday as we bring you an interview with Guillaume Lamarche, who will be stepping in for teammate Eric Leclerc in order to face J Croes. Tickets for Strikebox are already on sale, and can be purchased by calling 1-800-361-4595 or 514-790-1245. The event will be taking place on Friday, February 6th at Studio Mel's in Montreal! Less than two weeks since ticket sales started, the Montreal Impact have announced that more than 20,000 tickets had been sold for the CONCACAF Champions League quarterfinals, that will take place on February 25 at Olympic Stadium. Read on for Impact press release .